Looking to build an ultimate gaming rig and need a motherboard with the latest chipset to handle over clocking and some high-end video card(s), than take a serious look at the Crosshair IV Formula from ASUS. 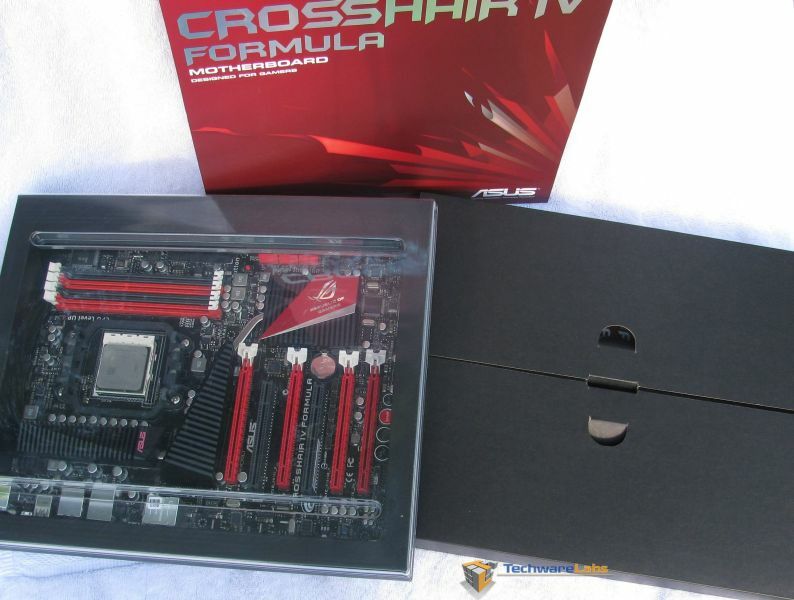 The Crosshair IV Formula is the most features rich motherboard TechwareLabs has reviewed to date of this review. The Crosshair IV Formula includes the AMD 890FX chipset which includes some features which provide up to 4 ATI Radeon HD graphics cards with ATI CrossfireX and other features like SATA 6Gb/s and not to forget the over clocker’s play ground with AMD Overdrive software. The compilation of all the features packed into this board in one platform is brought to you by the Republic of Gamers (ROG). The inclusion of the AMD 890FX chipset in the Crosshair IV Formula is what sets this motherboard apart from other performance motherboards prior. The data transfer if from SATA 6Gb/s over your RAID and SSD drives or the massive amount of data transferred by the video cards which can be up to 4 cards, the Crosshair IV Formula has the architecture in place to handle it, and then some. Here is a brief chart on what the 890FX chipset is about, but if you want to know more, check out AMD’s page here.